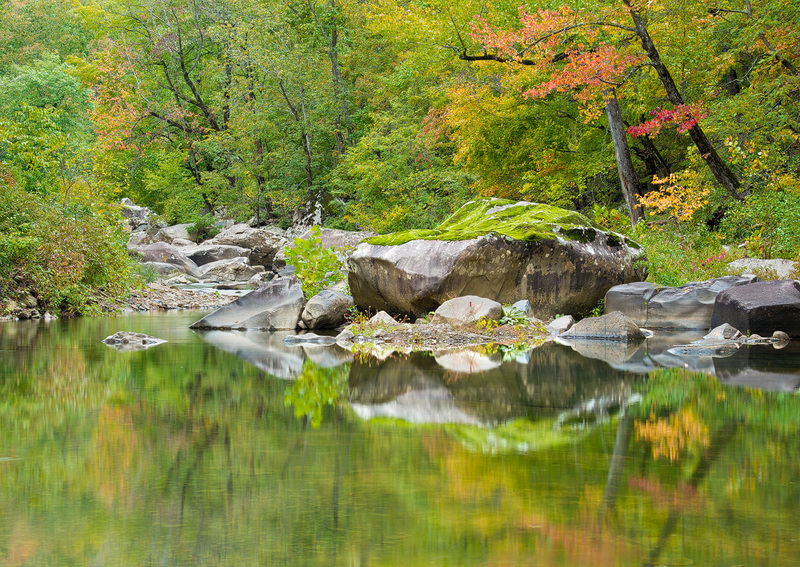 An early fall foliage reflection on one of the most pristine creeks in the state. Arkansas Nature Photography. Photo © copyright by William Dark.